Our European business is structured around the consumer sector where we work for many of the leading global consumer brands. We also offer additional sector and discipline expertise at a local level within each of the countries we operate in. The business leaders we work with also benefit from our executive search services. Currently, we have thirteen offices from which to support our growing client base. Our locations are: Newcastle, London and Teesside; Copenhagen and Århus; Stockholm, Malmö and Gothenburg, Düsseldorf, Amsterdam, Madrid, Oslo and Paris. We are the number one consumer sector recruitment specialist in Europe. The business works exclusively with clients and candidates operating across the global consumer sector, covering everything from Food, Drinks, Home & Personal Care, Fashion & Lifestyle, Homeware, DIY, Consumer Electronics, Ecommerce & Retail and Toys & Children. We recruit positions from junior management commercial, operational and support functions up to board and general management positions. We have a strong international network of senior consultants who advise on projects across geographies or industries. Find out more about our Consumer & FMCG Division. In our local markets, our consultants work exclusively with local clients and represent locally based candidates, across a range of sectors and disciplines, including sales, marketing, IT, HR, engineering & manufacturing and supply chain & procurement. We have developed this model to recruit positions at all levels throughout Europe, where we have offices across the continent. Nigel Wright Executive Search is a specialist search business that focuses on director and ‘c-level’ placements. Our practice covers board and general management, commercial, operational and support functions. We have a strong international network of senior contacts that can advise on projects across geographies or industries. Our clients benefit from a service that includes in-depth candidate assessment as well as invaluable market research that informs strategic decisions beyond the hiring process. Find out more about our Executive Search Division. 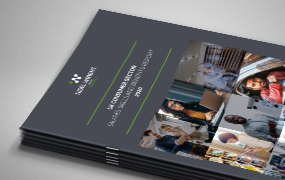 This report provides insight into the salaries, benefits and bonuses received by professionals in the UK consumer sector in 2019.